I found this easy-to-make pincushion here. 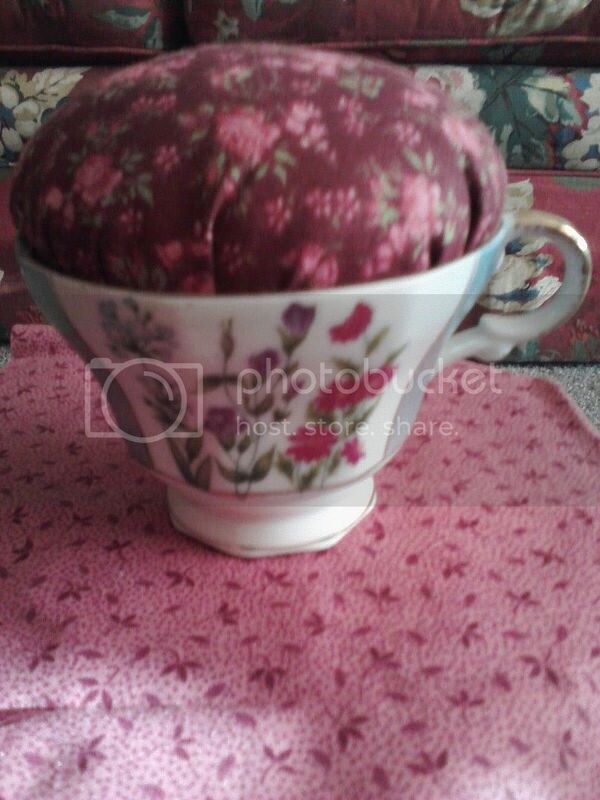 I bought the teacup at a garage sale and used a peice of scrap fabric I had leftover from another sewing project. I made up some to give away as gifts...it was fun, easy and took less than 30 minutes! Isn't it cute?